Do have a closet so full that you can’t find anything to wear? Are you clothes drawers impossible to close? Or you have to empty most of it out to find the one item you are looking for? I feel you, I’m the same, but there are a few things I have found that helped me in the process of organizing my clothes. I do still have to keep on top of it, but having a form of organization has made the task of finding something to wear in the morning, when I’m still half asleep, so much easier. So without further ado… let’s look at some ways you can store and organize your clothes, and make it so that you can always find something to wear. First of all, you may want to take the opportunity to assess your clothes and see if there are any items you could potentially get rid of. Try selling any clothes you are not keeping. Hang up lightweight dresses – Any lightweight and sturdy dresses you own can be hung up and organized by color, length, or style. This will keep your dresses wrinkle-free and easy to find. Hang up easily wrinkled bottoms – Nice trousers, work pants, flowing skirts, and pressed shirts should be hung up to avoid wrinkling them. Fold and stack heavy sweaters – If you hang heavy sweaters up in your closet, the weight of the sweater will stretch out the shoulders. Instead, neatly fold your sweaters and store them on a shelf in your wardrobe. Fold jeans – Jeans are made of sturdy material that doesn’t wrinkle easily. Store folded jeans in a drawer or clear bin to save wardrobe space. Use dividers and hooks to store accessories – If your wardrobe has a lot of empty wall space, use small wall hooks to store jewelry, scarves, hats, and belts. Alternatively, store these accessories in drawers. Use drawer dividers to separate each item. Organize your shoes – Shoes should be stored in clear containers, in shoe boxes, or on shoe racks. 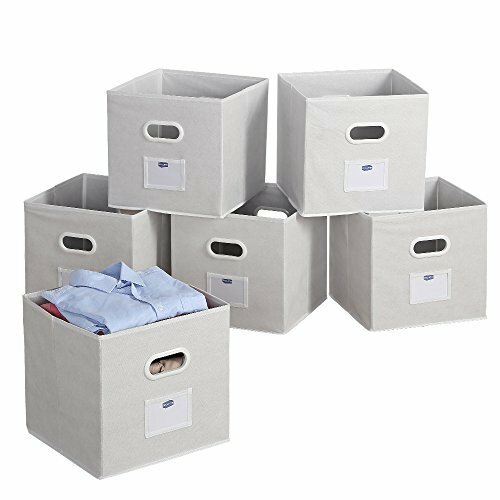 Store small clothing in drawers – Any underwear, socks, or bras can be stored in a drawer. 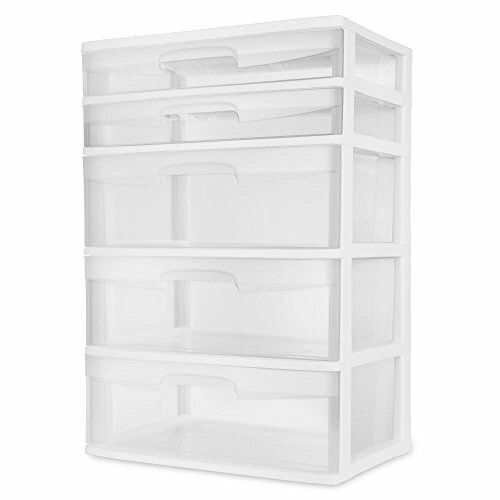 Items can be separated in the same drawer using dividers. 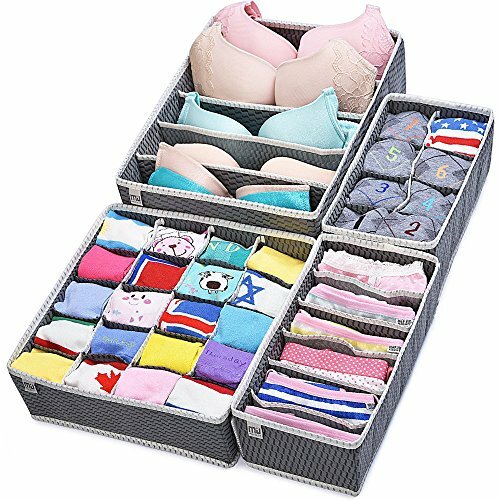 When it comes to organizing your clothes in drawers, using organizers makes things so easy, Honestly, before using these, my clothes drawers were constantly a mess. They enable you to separate items and keep them in their proper places. If you only have a small space in which to store your clothes, you might feel that it’s impossible to get it all organized, but honestly, it’s not. So have you found any ideas on how to keep your clothes organized and under control? 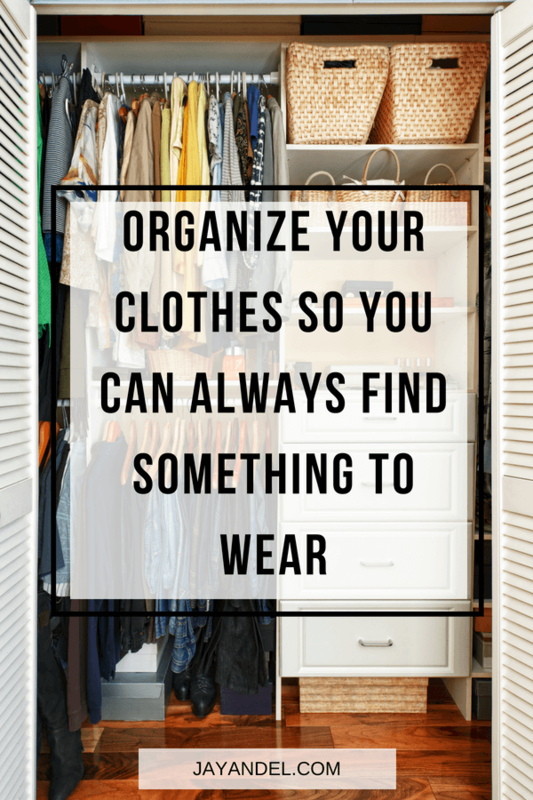 Have you been inspired to organize your own clothes?